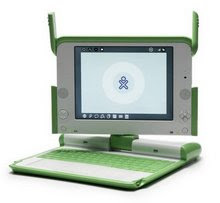 OLPC Oceania: UNESCO: "Education is a Human Right"
UNESCO: "Education is a Human Right"
A thoughtful video from UNESCO Bangkok: Children all over the world talk about the issues that affect them most. In March 2011, World Education leaders met in Jomtien, Thailand, to renew their commitment to achieving Education for All by 2015. During the meeting, statements of high-Level Asian country representatives were gathered in this video to promote education as a human right. Participants in the video are: Mr. A.K. Abdul Momen, Ambassador of Bangladesh to the United Nations; Mr. Phimmasone Luangkhamma, Minister of Education, Lao PDR; Ms Irina Bokova, Director General UNESCO; Mr. Joao Cancio Freitas, Minister of Education, Timor-Leste; Mr. Athar Tahir-Chowdhry, Secretary to Government, Ministry of Education, Pakistan; Ms Anshu Vaish, Secretary to Government, Ministry of Human Resource Development, India; Mr. Chinnaworn Boonyakiat, Minister of Education, Thailand; Mr. R. Agus Satorno, Deputy Minister for Education and Religion, Indonesia.